Okay, so I haven’t written a blog in what feels like forever, but it’s not for lack of want. I have ideas in my head, and some even half written down. However, I am currently working on a 3 hour presentation that I will be giving March 2nd (yes you read correctly: 3 HOURS!) on the dietitian’s role in the treatment of eating disorders and not only is that taking up a lot of my time, but it’s also sucking my will to do anything other than stare at the wall with the little free time I have. Okay, maybe it’s not that bad, but it’s my excuse for lack of blogging. So in the meantime I’m going to copy and paste a blog I wrote a long time ago on vegetables. If there is one thing the plethora of diets out there can agree on, it’s that vegetables are good for you and you should probably be eating more off them. In fact, if you ever come across a diet that says not to eat vegetables you should probably run the other way! 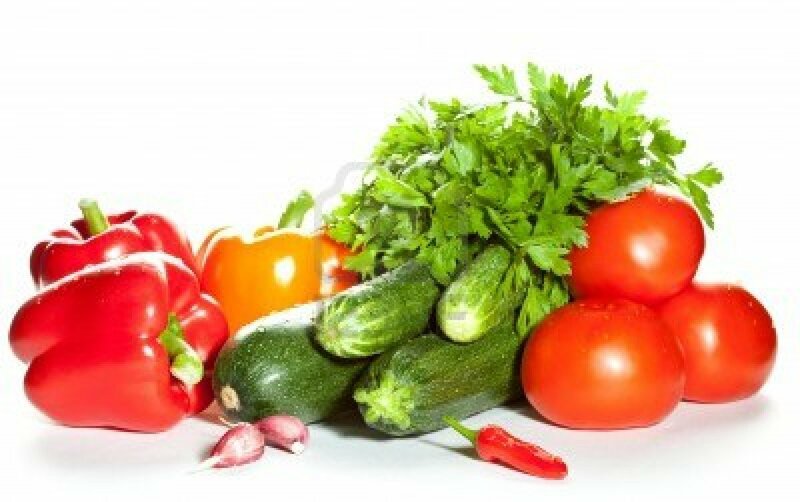 Vegetables are an integral part of a healthy diet, regardless of your health and fitness goals. Not only are they packed with vitamins, minerals, fiber, and antioxidants, but they are also low in calories. The general recommendation is 5-9 servings of fruits and veggies a day, and most of those should be vegetables not fruit, but most people find it easier to get in fruits than vegetables. It’s not an easy target to hit (a serving is 1/2 cup cooked or 1 cup raw veggies). Most people don’t even come close, and sadly white potatoes are the most frequently eaten vegetable in the U.S. Which I think barely counts! I find the best way to get in enough vegetables is to add them to foods I already eat. It’s much easier to throw some extra veggies on top of your sandwich then to try to incorporate plain veggies into your diet as snacks or sides (but those are good ideas too), especially if you’re not too keen on the taste. Below are some tips on sneaking extra veggies into your diet. 1. Put bell peppers, onion, spinach, broccoli, or mushrooms in your morning omelet. 2. Add bell peppers and onions to hash browns and serve them with a little ketchup or salsa on the side. 3. Make a homemade veggie pizza with tomatoes, bell peppers, onions, mushrooms, and even broccoli if you’re feeling adventurous. 4. Try a veggie quesadilla on a whole wheat tortilla with part skim mozzarella and oven roasted zucchini, bell peppers, and onion. 5. Spice up spaghetti sauce with mushrooms, peppers, onions, zucchini, diced carrots, or sauteed spinach. 6. Load up your sandwiches with veggies-not just lettuce and tomato but spinach, cucumbers, alfalfa sprouts, bell peppers, and onions. 7. Place a few slices of tomato and spinach on a whole wheat grilled cheese sandwich. 8. Add layers of spinach or eggplant to lasagna. 9. Blend cooked cauliflower or broccoli into mashed potatoes. 10. Add your own extra mixed veggies to store bought soup. 11. Blend a handful of kale or spinach into a fruit smoothie. If you’re not a huge fan of vegetables, try roasting them in olive oil. I swear it makes any vegetable taste better, plus you’ll get in some healthy fats!